Nice host, felt very authentic. The host told us where to rent a car and where to get inexpensive coffee. The room and bathroom were very clean. We truly had an amazing stay in down town. I can’t thank the owners enough for their amazing hospitality, even if we were staying just one night and booked last minute. Great recommendations also for dining and breakfast. Lovely location just off the Main Street and brilliant value too. 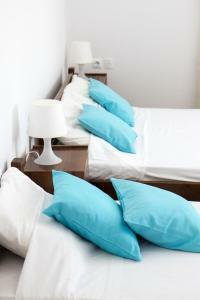 The owner is very helpful and the room was a good size, clean and comfortable. The host & his family were lovely! Provided the most amazing recommendations, and made us feel welcome and at home. Location is good, only a short walk to Fira town. The hosts were very welcoming and accommodating. They helped us with getting a taxi. The room itself was kept very clean and it was spacious. The location was close to everything but far enough away so that it wasn’t noisy. My friend and I stayed for two nights this summer. 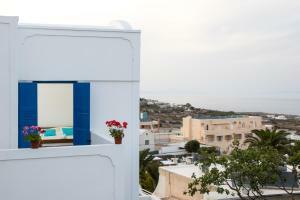 The location of the property was within a few minutes walk to Fira town. The room was clean and bright. The host went above and beyond to make sure we had everything we could possibly need. He was waiting for our arrival on the street, so we would know where to go. He spent time with us advising us on things to do during our stay. He was even kind enough to drop us to the bus station the morning of our departure. 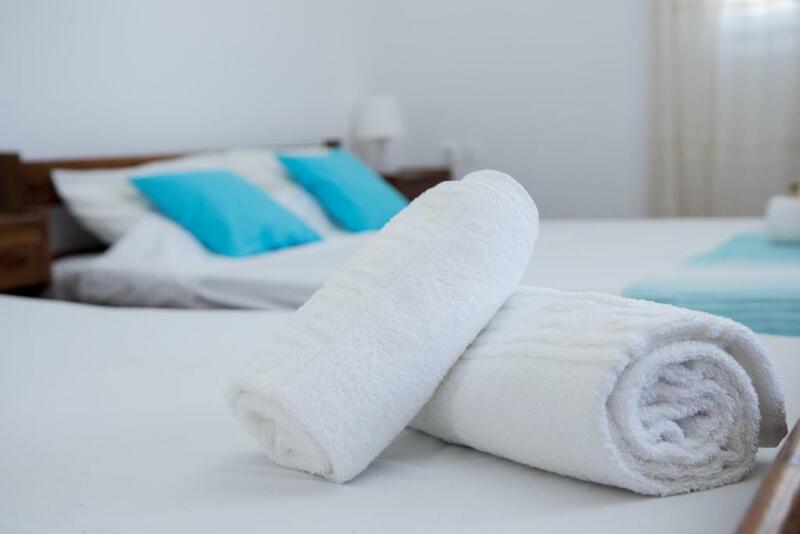 Definitely recommend for anyone who is looking for who is not looking to spend a fortune on accommodation, but isn't willing to compromise on cleanliness. The hotel was classic Santorini with blue window accents and white facade. It was super cute. The room was comfortable and they provide an AC unit in the room to help you sleep. The only thing to note here is the shower was super small. It was hard to soap up. Also it was one of those wet bathrooms? The one where you're expected to get water all over the place with a drain in the center. It was well located too. Like a 10 minute walk up the street to the center of Fira. The host Costas was so helpful and friendly! He let us check in early and held our bags for us before we checked in and after we checked out. The rooms were impeccably clean and the location was perfect. A very short walk to downtown Fira. Highly recommend! Perfect for our stay, rooms were spacious and cleaned daily. Kos was a great host, always available when needed and very helpful and informative on the local area. Location was five minute walk to main town but far enough away to get a decent nights sleep. Worth the money you pay. Lock in a great price for Down Town – rated 8.9 by recent guests! One of our best sellers in Fira! 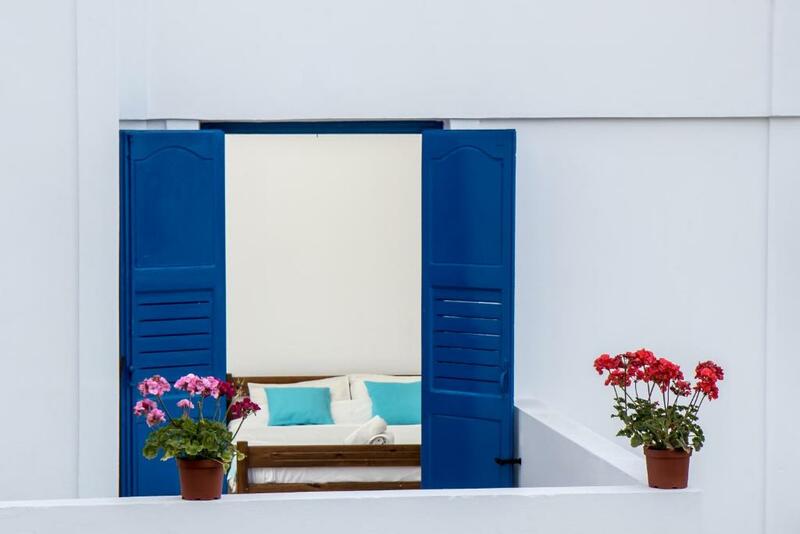 Featuring a terrace, Down Town is set in the Fira City Center of Fira, close to Archaeological Museum of Thera and Museum of Prehistoric Thera. Free WiFi is featured. Every unit features a private bathroom and shower, air conditioning, a flat-screen TV and a fridge. Central Bus Station is less than 0.6 mi from Down Town, while Megaro Gyzi is 1.1 mi away. 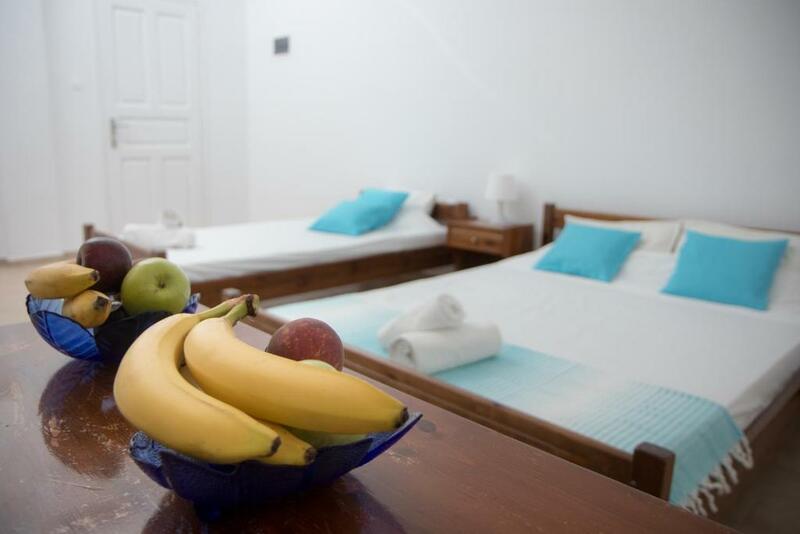 The nearest airport is Santorini International Airport, 3.7 mi from the accommodations. When would you like to stay at Down Town? Air-conditioned room with a private bathroom with shower. A flat-screen TV, a fridge and free WiFi are available. Breakfast items are provided in the room, so that guests can prepare their own breakfast. House Rules Down Town takes special requests – add in the next step! Down Town accepts these cards and reserves the right to temporarily hold an amount prior to arrival. Please inform Down Town of your expected arrival time in advance. You can use the Special Requests box when booking, or contact the property directly using the contact details in your confirmation. The host is very nice! Mr. Niko was extremely friendly when we arrived. The owner's father is the onsite manager. Very helpful and accommodating. Also interesting individual. Gave us excellent restaurant information. Going to stay one night but stayed two. Owner also came by giving us tips about the area plus things to do. The hosts was really nice and helpful. He suggest to pick us up at the port even if we arrived around 2AM (FYI 25€ is a fair price for the transfer). He and his father were always available for any querry. The room was comfortable with hot shower and nice terrasse! 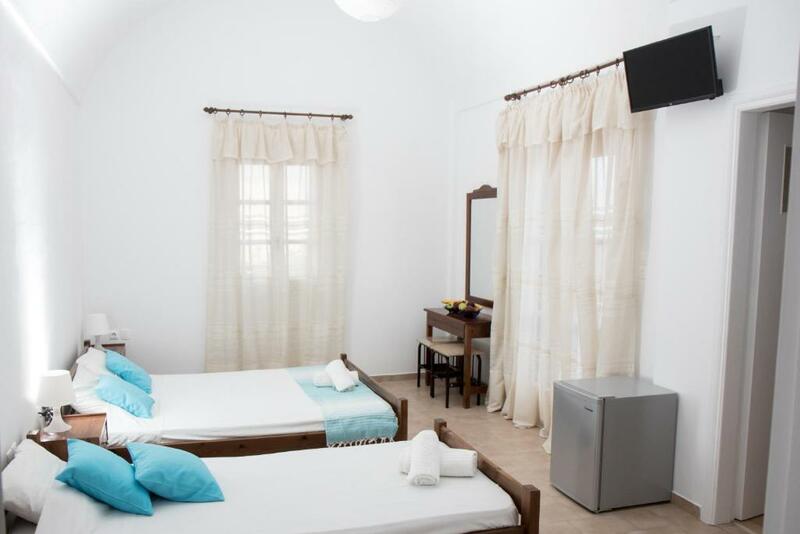 Good location to travel around the island, Down Town is at 5 minutes walk from the bus station and Fira centre. Floor from bathroom got wet when showering. Location, confort, cleanness, great host. The location is great, less than 10 minutes walk to the main centre. It is in a quieter area too which is good. We got lots of great tips and advice from the owner on places to visit and restaurants to eat in. The owners and the staff were all very nice and accomodating. The room was very clean and serviced every day. Mattress was uncomfortable, and was slightly difficult to find the property on arrival, but overall really enjoyed our stay. Since we’re two small girls, we couldn’t reach the shower head. Not a big problem! We had our shower anyways. The host Constantinos and his father are kind and very nice people, always ready to help and chat. They gave us precious infos about the town and the island. Constantinos recommended us what to do and where to eat. He was always available and reachable for any kind of question or request. He waited for our late arrive (1 am) and kept our luggage in a safe place ‘till late in the evening. He organised trouble free our transfer from the airport and back to it. The room was nice, comfortable and very clean. There is everything you should need! The bathroom was big enough and fine for the purpose, the only complication we have was reaching the shower head, we are two small girls ;) definitely not a huge problem though! 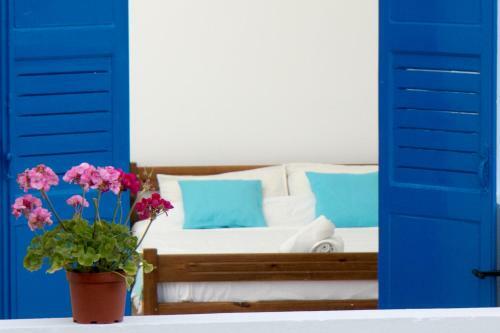 I warmly recommend you to stay at down town when in Santorini.